If you're reading this from your home in Canada and are fluent in French, then this $38,000-a-year gig may be for you. 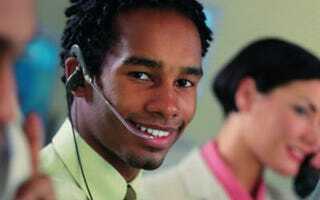 The Toronto-based electronics firm CIC Group is looking to hire bilingual call-center representatives. However, you must live in Canada, and you must be fluent in French and English. If you think you fit the bill, then apply to become a call-center rep. You'll help field service calls from CIC customers needing help resolving their electronics and computer glitches. CIC is looking for analytical problem solvers, especially those who know their way around SAP software.